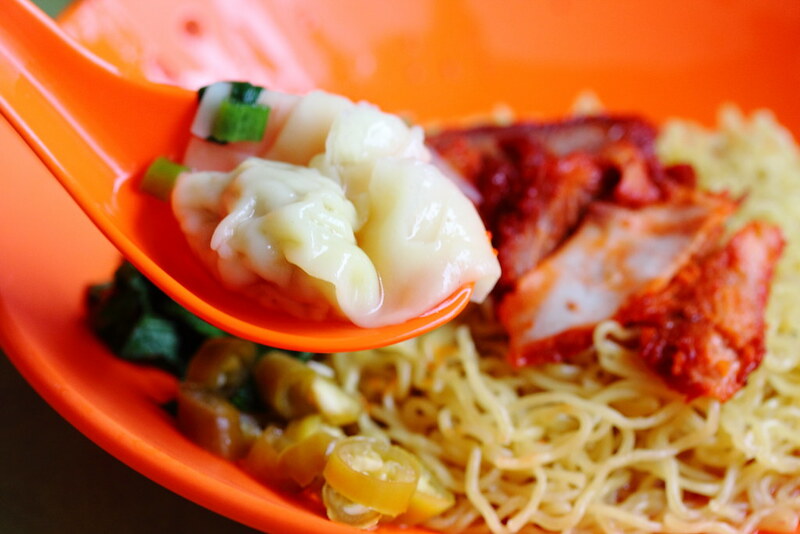 Further down the row of stalls of JH Fishball Noodle at Teban Garden Food Centre is Quan Soon Wanton Noodle. 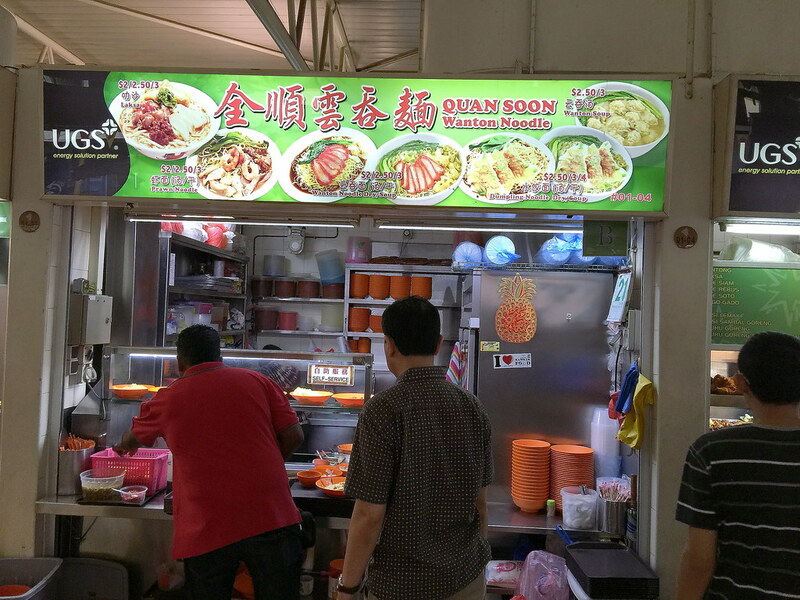 Quan Soon Wanton Noodle is owned by 62 years old Madam Wong who has been offering cheap and affordable food for the neighbourhood for the past 37 years. 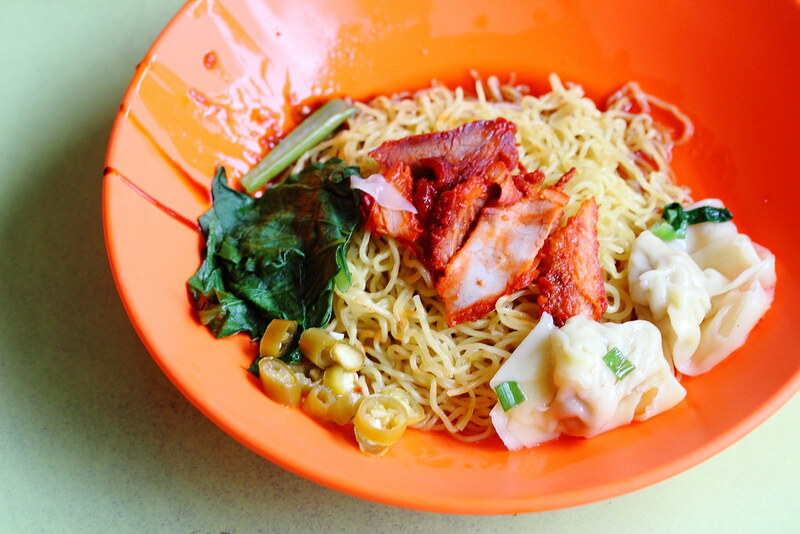 You can get a plate of wanton mee for $2 at her stall. 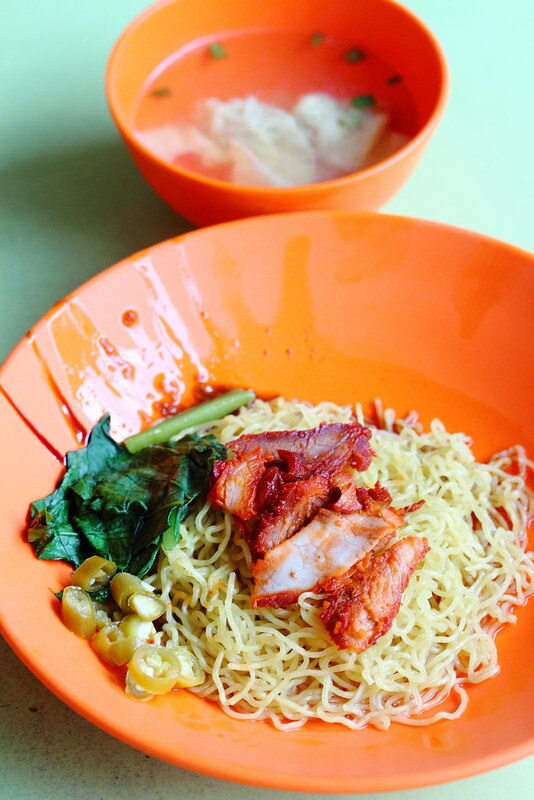 The stall sells a variety of noodle dishes such as Wanton Mee, Laksa and Prawn Noodle, all at a low price of $2. Madam Wong has continued to sell her noodles at $2 because there are many old people which do not have a lot of money in the estate and she wanted to provide affordable food which can help to fill their stomach. My plate of wanton mee dry for a mere $2 comes with springy noodles, 2 wantons, slices of char siew and some vegetables. I enjoyed the texture of the noodle as well as the wanton which is stuffed with minced pork and chestnut, I can even taste hints of dry sole fish in the wanton filling. For those that is looking for something for substantial, you can also go for the larger portion at $2.50 or $3. The plate of wanton mee may not be the best but it does come with that old school flavours, bringing back my childhood memories.